The Hot Yoga Spot Albany. Next program start date TBD. Join us for a weekend immersion training in the craft of Aerial Yoga. 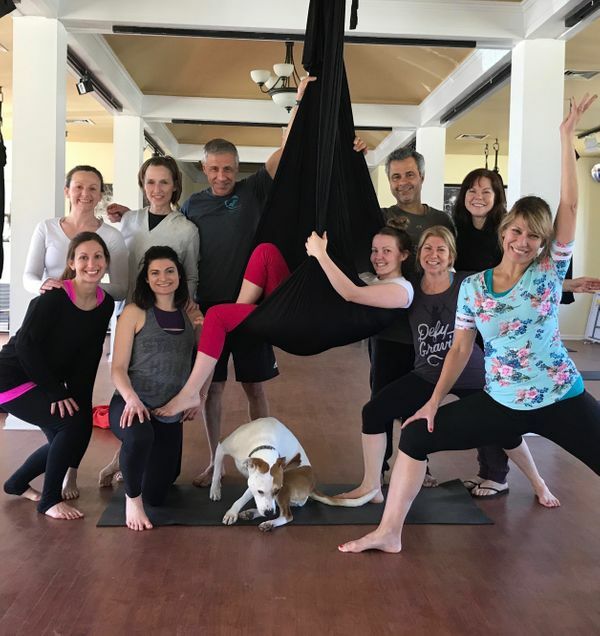 This immersion will introduce you to the art of aerial yoga, as well as give you the beginning skills to teach aerial yoga classes. $500 with $100 deposit to secure your spot. Space is extremely limited. Saturday & Sunday from 9:00 a.m - 4:00 p.m.
Cues and safety for flight and for properly rigging equipment. Have knowledge and/or certification in yoga, group fitness or wellness. A portion of this training will be completed online. Mentoring hours will be encouraged but requirements are up to individual studios where you will be teaching. We highly recommend mentoring with a senior teacher after training ends.